In our last blog, we shared the first part of this series explaining the powers and duties that come with serving as trustee. Here in Duties of a Trustee – Part 2, we discuss the rest of a trustee’s core responsibilities. To this end, you should thoroughly understand exactly what your role as trustee requires before agreeing to accept the position. Last week, we highlighted three of a trustee’s primary functions, and here we continue with that list, starting with one of the most labor-intensive of all duties—managing and accounting for a trust’s assets. 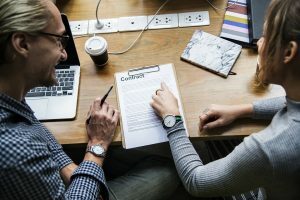 In the best case, the person who created the trust and was the original trustee—usually the grantor—will have maintained an up-to-date inventory of all trust assets. If the estate is extensive, gathering those assets can be a major undertaking. As your Personal Family Lawyer®, we can help review the trust and determine the best course of action. Trustees risk personal liability for late payments and/or other penalties. Be sure that regularly scheduled payments, such as mortgages, property taxes, and insurance, are promptly paid. Trustees also must prepare and file the grantor’s income and estate tax returns. This includes the final income tax return for the year of the decedent’s death and any prior years’ unfiled returns. The Trustee must also file an annual return during each year the trust remains open. For high-value estates, trustees may have to file a federal estate tax return or possibly a state estate tax return. However, Trump’s new tax law of 2017 doubled the estate tax exemption to $11.2 million, so very few new estates will be impacted. But keep in mind, this new exemption is only valid through 2025, when it will return to $5.6 million. It is vital that trustees keep a strict accounting of every transaction (bills paid and income received). In fact, if a trustee fails to fully pay the trust’s debts, taxes, and expenses before distributing assets to beneficiaries, he or she can be held personally liable if there are insufficient assets to pay for outstanding estate expenses. So even though trustees can delegate much of the underlying legwork, they’re still required to serve as the lead decision maker. What’s more, trustees are ultimately responsible if any mistakes are made. In the end, a trustee’s full range of powers, duties, and discretion will depend on the terms of the trust, so always refer to the trust for specific instructions when delegating tasks and/or making tough decisions. And if you need help understanding what the trust says, don’t hesitate to reach out to us for support. Trustees are usually required to provide beneficiaries with regular information and reports related to trust matters. Typically, trustees provide such information on an annual basis, but again, the level of communication depends on the trust’s terms. Trustees should provide annual status reports with complete and accurate accounting of the trust’s assets. Moreover, trustees must permit beneficiaries to personally inspect trust property, accounts, and any related documents if requested. Additionally, trustees must provide an annual tax return statement (Schedule K-1) to each beneficiary who’s taxed on income earned by the trust. What’s more, determining what’s “reasonable,” can itself be challenging. Entities like accounting firms, lawyers, banks, and trust administration companies typically charge a percentage of the funds under their management or a set fee for their time. In the end, what’s reasonable is based on the amount of work involved, the level of funds in the trust, the trust’s other expenses, and whether or not the trustee was chosen for their professional experience. Consult with us if you need guidance about what would be considered reasonable in your specific circumstance. In either case, you can rely on us as your Personal Family Lawyer® to offer the most accurate advice, guidance, and assistance with all trustee duties and functions. We can ensure that you’ll effectively fulfill all of the grantor’s final wishes—and do so in the most efficient and risk-free manner possible. Contact us today to learn more.